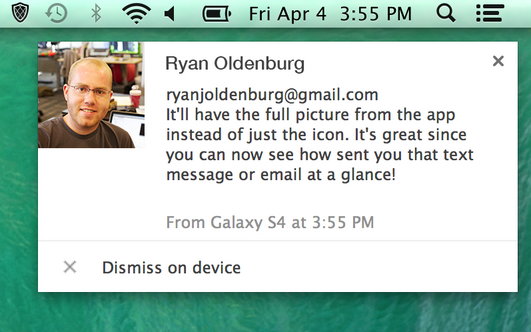 Mirroring Android notifications to a desktop is far from a new feature for Pushbullet, but now the app displays the full images that go with each message. This makes glancing at a pop-up and deciding whether it needs immediate attention even easier. Advancing things further, Pushbullet now takes advantage of the Event plugins Tasker introduced in its recent 4.3 update. 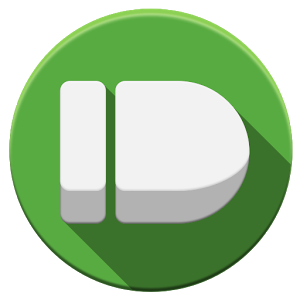 Pushbullet already supported sending notifications with Pushbullet through Tasker, but now Tasker can react to messages received through Pushbullet. 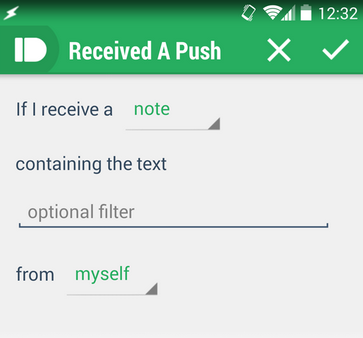 This means you can turn Pushbullet into a trigger for any number of tasks. Keep forgetting to pay a certain bill? Have the phone turn off silent and ring loudly whenever the latest email comes in each month. Want an extra layer of security? Have the phone automatically lock itself whenever a notification containing a certain string of letters arrives (better make it an uncommon one). All of this functionality is still available for free, and we've provided links to get the app below. Push away.